With her award-winning work ethic, networking expertise, and philanthropic heart, new hire Hannah Martin brings positive momentum to Coastal Luxury. 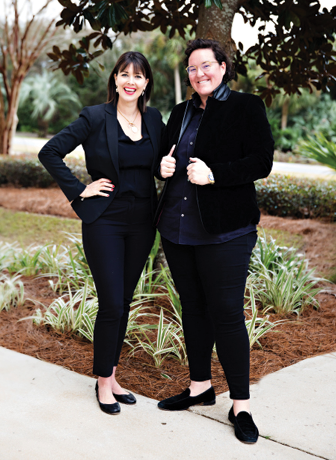 Coastal Luxury’s boutique brand and visibility in the market captured her attention and Martin decided the firm was a natural next step in her career. There, she seeks to encourage fellow agents and help foster a positive, creative work environment. Martin is praised by clients and colleagues for her meticulous attention to detail and her extraordinary customer service. Martin’s land, home, and development sales experience, along with her professional network, create a wide range of profitable opportunities for her clients. Current goals include expanding that development knowledge, growing her business to implement a team and staff, and diversifying her portfolio to include not only the 30A area but also its feeder markets. Martin brings her network of business owners and fellow altruists together to host events such as VIP dinners, a Goddess Glam Lounge, a Party of the Gods, and a Morning on Mt. Olympus Champagne Brunch. Fundraising dollars provide a special needs advocacy network and support numerous organizations. This year’s event was held February 8-10 at the Hilton Sandestin Resort and benefitted South Walton Academy, Special Olympics Florida-Walton County, and Westonwood Ranch. Tickets may be purchased at www.hannahmartinsparty.com. The industry, colleagues, and community recognize Martin’s success. Her team was #1 in real estate sales for 2017 and 2018 at her previous agency. 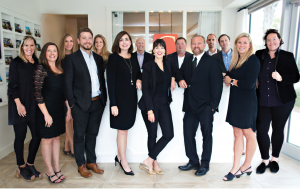 In the last 18 months, Martin and her teammate broke four 30A land and home sales records. She is the January-February Emerald Coast Lady of Emerald Ladies’ Journal. In 2018, she was awarded the Life Impact Award and the Emerald Coast Association of Realtors Humanitarian Award.